The Academie Cardigan Sewing Pattern is a fun and effortless V neck cardigan that you can quickly make in a single afternoon. Option A is a simple v-neck cardigan with either matching or contrasting trim. Option B is a cute, updated “letter sweater” with stripes on one sleeve, pockets, and a varsity letter. The entire alphabet is included so you can use whatever initial you want! This easy sewing pattern is wonderful for dressy or casual outfits; endless options help make this cardigan your very own. Personalize to match your doll’s personality! Sized for 18″ dolls such as American Girl. 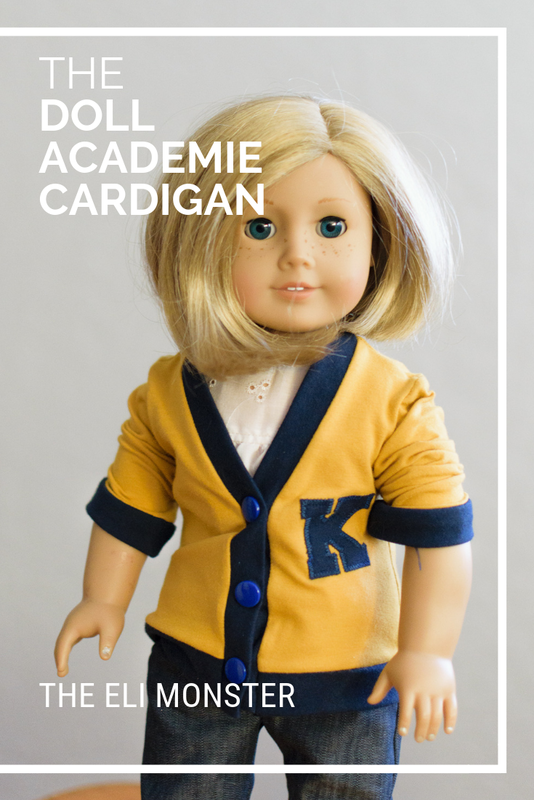 The Academie Doll Cardigan Sewing Pattern is a fun and effortless V neck cardigan that you can quickly make in a single afternoon. Option A is a simple v-neck cardigan with either matching or contrasting trim. Option B is a cute, updated “letter sweater” with stripes on one sleeve, pockets, and a varsity letter. The entire alphabet is included so you can use whatever initial you want! This easy sewing pattern is wonderful for dressy or casual outfits; endless options help make this cardigan your very own. 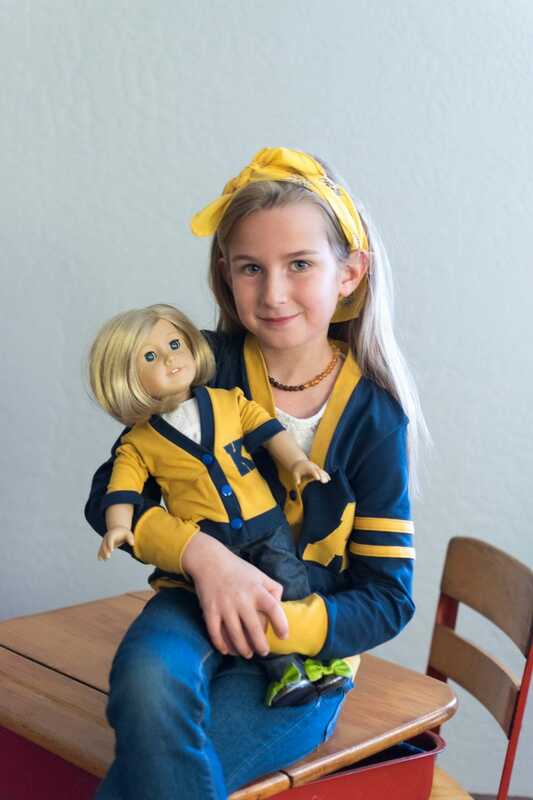 Personalize to match your doll’s personality! Like the rest of The Eli Monster’s patterns; The Academie Cardigan PDF Sewing Pattern is layered which means you only need to print the size you are making! All steps are accompanied by full-color photographs so you never have to guess where to sew or place. All pattern pieces are computer drawn; to save paper, cutting dimensions for rectangular pieces is included in lieu of drawn-out pieces.